Even pobeditovym drill can sometimes be blunt. Signs of blunt drill is overheating during operation, strong squeal and inefficient drilling. If you buy every time a new drill is not possible, you decided to try to sharpen pobeditovoe drill, then follow our tips and you will succeed. Make sure that the drill bit can be sharpened. To do this, measure the length of the cutting part of the drill, if it is more than 10 mm, the grinding is possible. Sharpen pobeditovye drill bit on a conventional abrasive stone you will not succeed, so take a grinding machine, preferably with a diamond grinding stone or sharpening stone driven by a motor. To speed up drilling, reduce the number of rotations per second (angular velocity), since this is the main rule processing: the harder the material the lower the speed. Sharpen drill short touches on an emery stone. Continually monitor the sharpening process, as pobeditovye drills are sharpened rather quickly. When sharpening the drill bit be as accurate as possible. 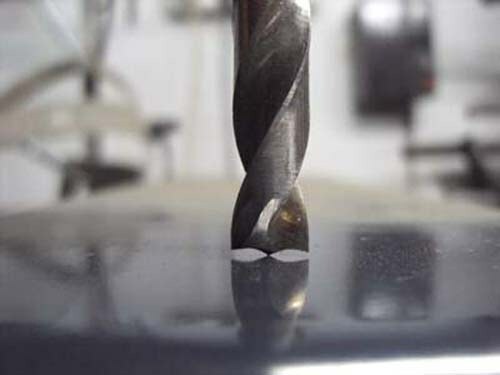 Carefully ensure that the cutting side of the drill was the same size, otherwise the offset center axis of rotation will lead to uneven work and, as a consequence, the enlarged rough opening. Check the correctness of the ratio of the front and rear corners of the cutting edge in the direction of rotation of the drill. Don't forget, the harder the material the greater must be the angle – to 170о. Ensure that the drill is not heated, since heating can lead to cracking and spalling of the carbides. To avoid this, from time to time, cool the drill with fluid, for example normal water. If the tip is hot (flushed), don't dip it in the liquid from the sharp hypothermia he'll crack. Give him a chance to cool down gradually in air. Be prepared for the fact that to achieve efficiency new drill you will not be able, as a way of sharpening drill bits is different for different brands of pobedit, and play at home all the requirements is impossible. If you sharpen a drill bit worthy way possible, just buy a new drill in the store and continue to treat them more carefully. To drill long life, keep all the recommendations of the manufacturers, use drill bits for concrete for concrete and metal drills for metal. Prevent overheating during operation, the drill bit wet with water. Do not try to drill a hole from the first call.